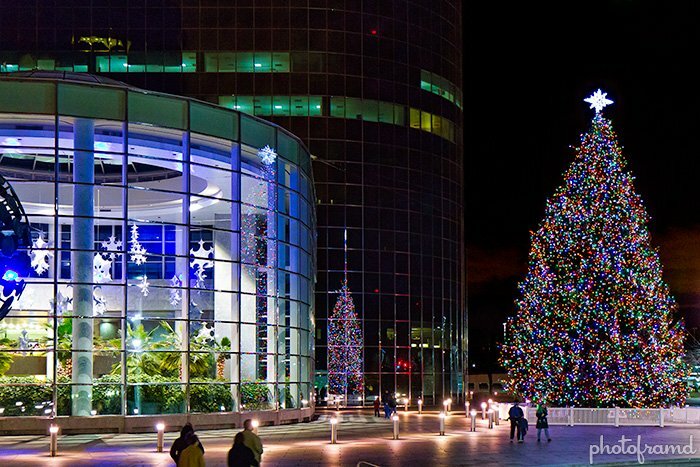 New York City may have Rockefeller Center, but Long Island has its own tree lighting at RXR Plaza (formerly EAB Plaza). 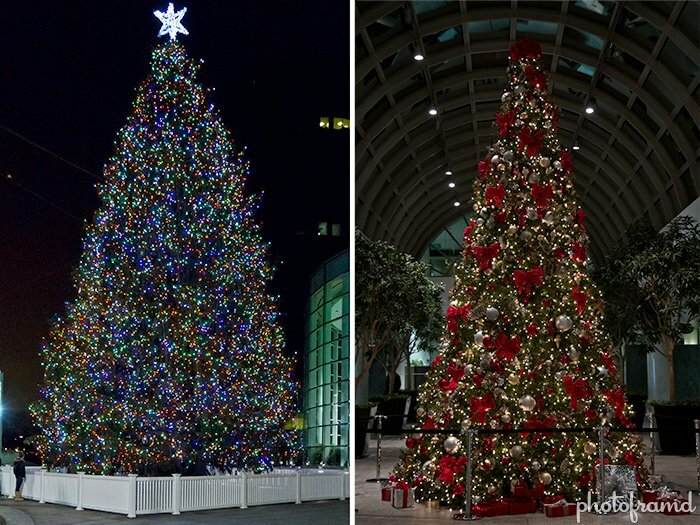 Since 1989, the Plaza has been the site of a large outdoor Christmas Tree (approx. 80-ft tall) near the base of the two glass towers. 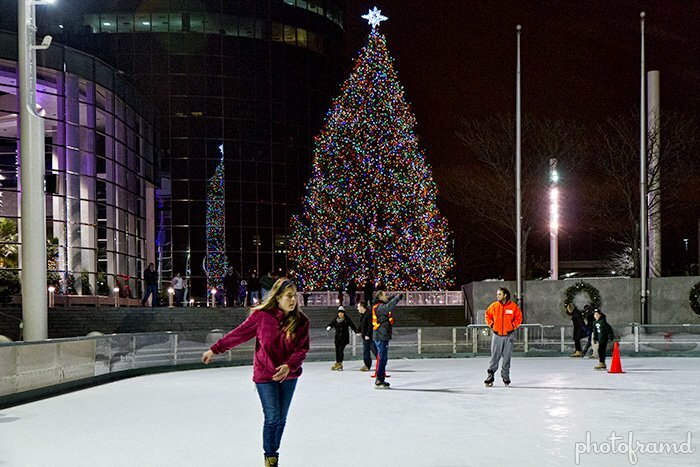 Add the outdoor ice skating rink and you have the perfect outdoor Winter scene without the crazy crowds at Rockefeller Center. 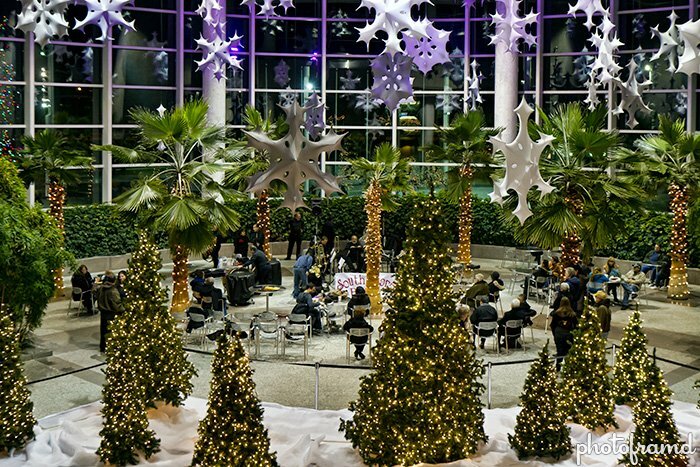 The indoor Winter Garden with its festive decor hosts seasonal concerts from local groups. 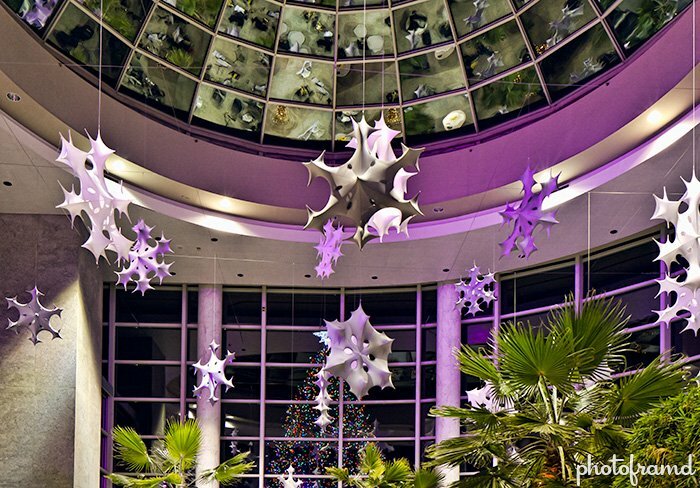 Since it’s not far from Roosevelt Field Mall, RXR Plaza makes a nice break from holiday shopping. NOTE – these photos are not HDR. Instead, they are single photos which I used Topaz Adjust 5 to pull out details, balancing the the light and dark areas.